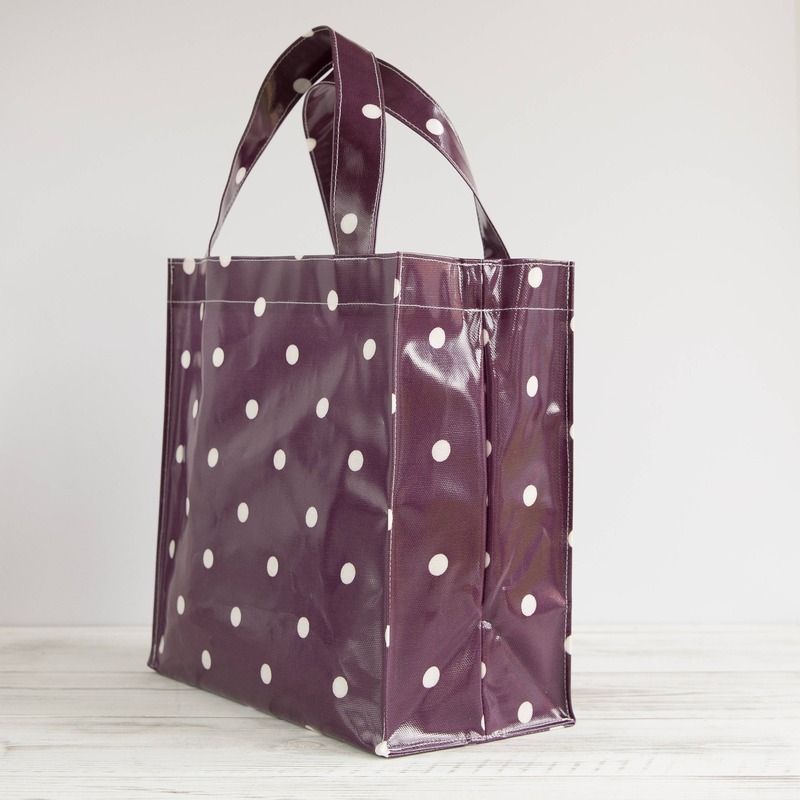 The oilcloth tote bag is made from quality cotton oilcloth fabric featuring a lovely deep berry purple polka dot design. 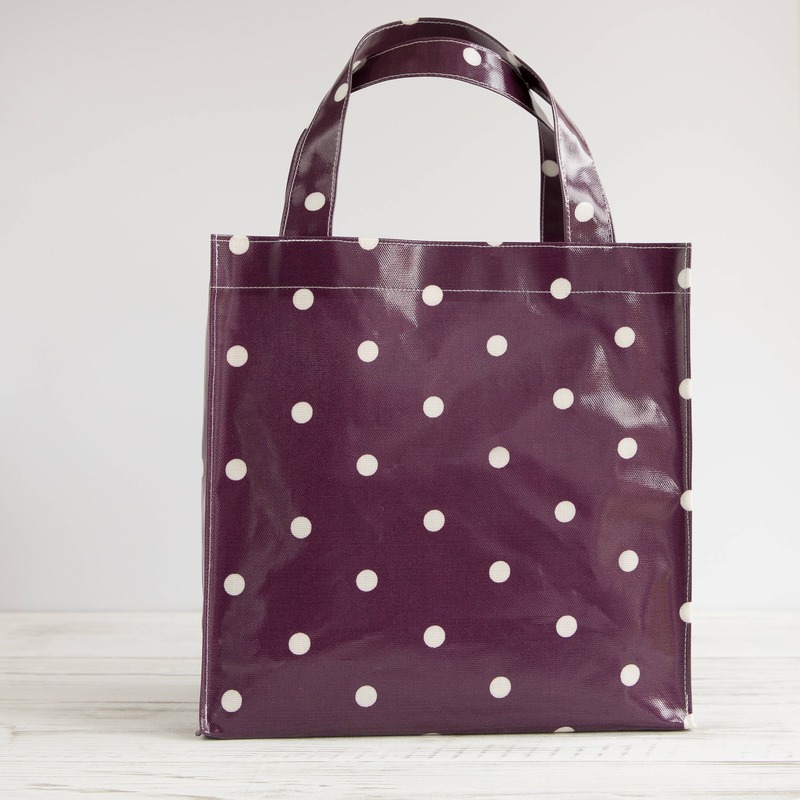 In the bottom of each bag is a piece of plastic to help the bag keep its shape. 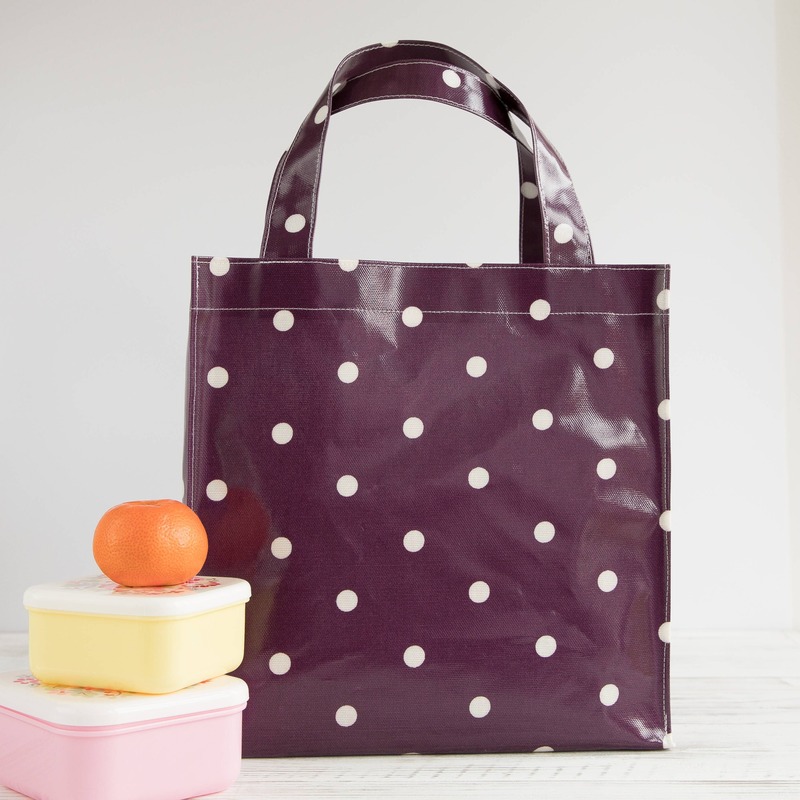 Cute and perfect tote .